Viewing Angles H = 178, V = 178 typ. 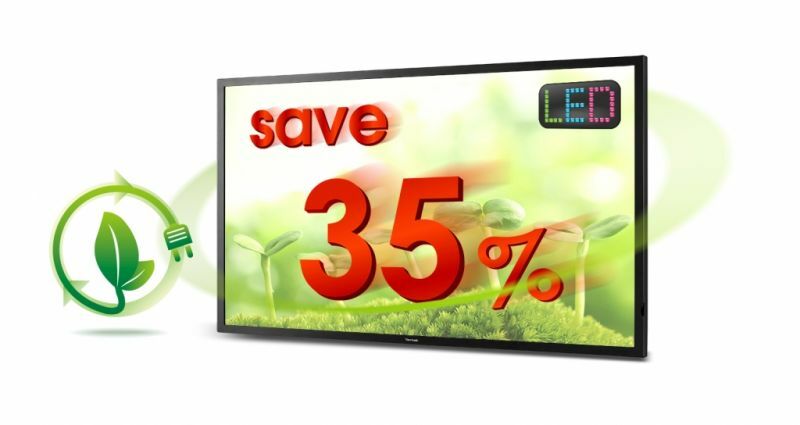 The ViewSonic CDE5500-L is a 55’’ (55’’ viewable) commercial LED display with a 24mm narrow-bezel design that delivers more impactful visual messaging for corporate, retail, hospitality, and other indoor environments. An integrated media player supports USB-drive playback of videos, photos, and music, as well as content scheduling. In addition, it provides wireless and LAN content loading from PCs or mobile devices via network connection, offering an efficient and fast way to display content. Featuring Full HD 1080p resolution, 350-nit high brightness, 1400:1 high contrast ratio, SuperClear® technology for improved wide-angle viewing, and dual 7W stereo speakers, the CDE5500-L delivers sharp, vivid images with incredible sound for superior multimedia messaging performance. 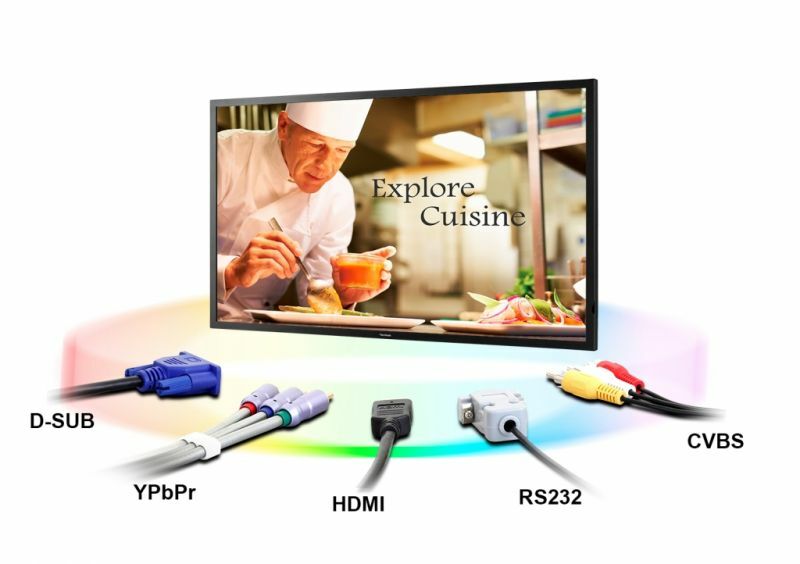 Versatile connectivity options include HDMI, DVI, D-Sub, YPbPr, and CVBS inputs for easy installation and control of a variety of high-definition devices. Integrated RS232 with IR pass-through and a one-time setting function make the CDE5500-L an easy-to-manage solution for multiple-display configurations. 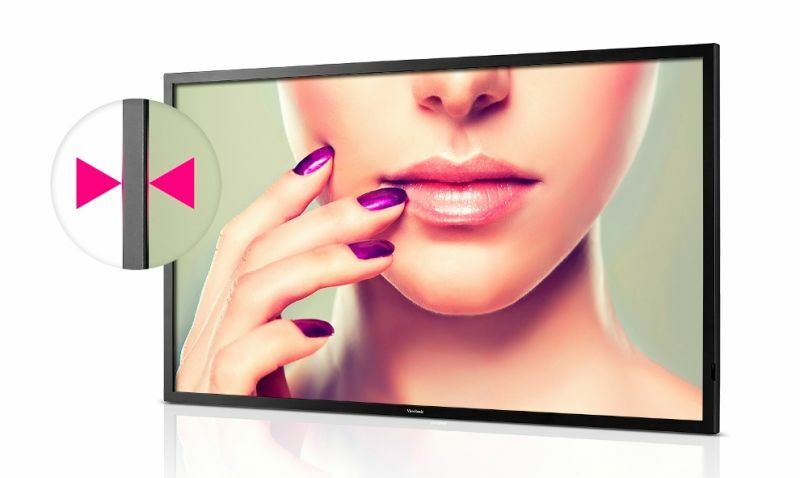 ViewSonic’s CDE5500-L commercial display features a 24mm narrow bezel design. 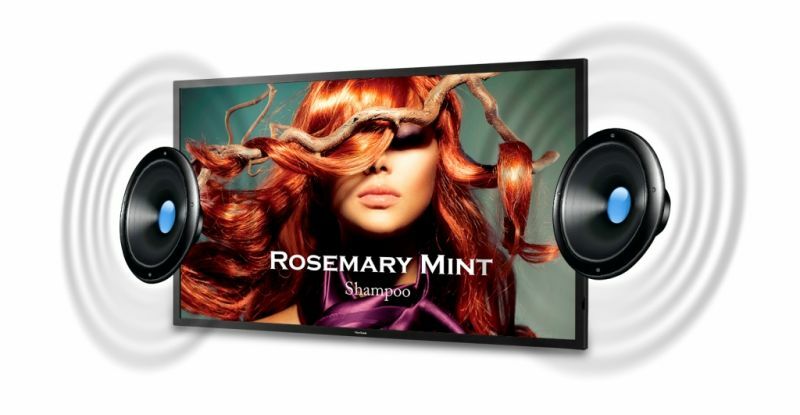 This sleek, narrow bezel maximizes impactful visual messaging for passersby, making the CDE5500-L the perfect choice for digital signage installations. The CDE5500-L features an integrated media player with convenient USB playback function. Now, photos, music and 1080p video can be quickly displayed on-screen directly from a USB drive – without the need for a PC. The CDE5500-L features a RJ45 port to connect directly with PCs or notebooks via Intranet connection. 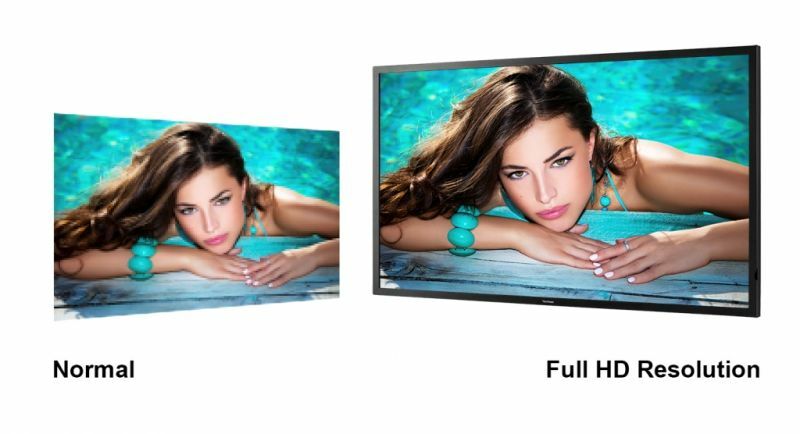 This provides for the efficient loading of content onto multiple displays through a primary display. 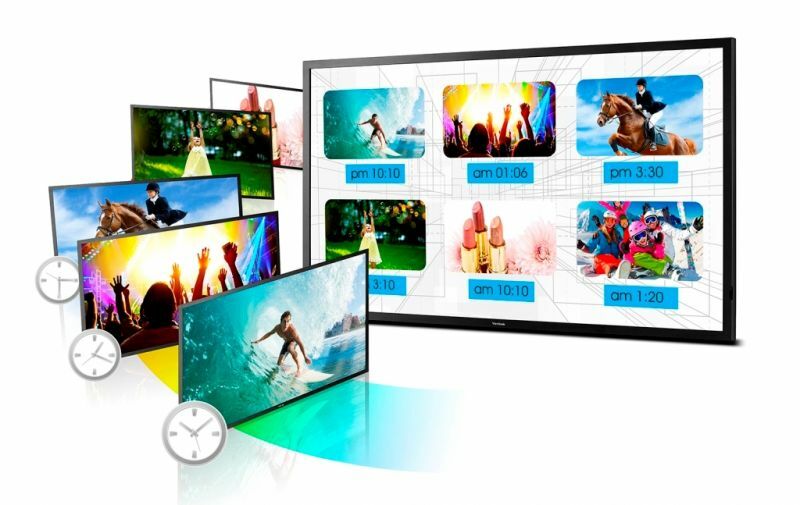 DLNA-compatible mobile devices can also utilize a wireless hub to push multimedia content directly to selected displays. The ViewSonic CDE5500-L commercial display provides an efficient, user-friendly scheduling interface via the on-screen display (OSD). Display setup features include time and date scheduling, repeat and shuffle settings, as well as content source settings for various inputs. The CDE5500-L utilizes an energy-saving LED backlight that consumes 35% less power than conventional CCFL backlight displays. This provides for a lower overall cost of ownership, along with a higher ROI, making this display a great long-term investment. The ViewSonic’s CDE5500-L displays content in Full HD 1920 x 1080 resolution to deliver superior pixel-by-pixel true-color performance. At this resolution and brightness, high-definition multimedia messaging can be seen crystal-clear with a more realistic viewing experience. 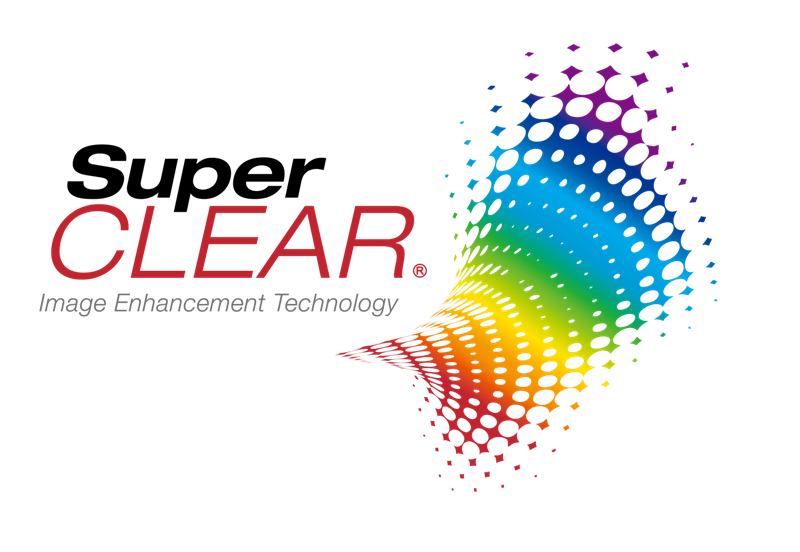 SuperClear® image enhance technology delivers 178-degrees of vertical and horizontal viewing angles. 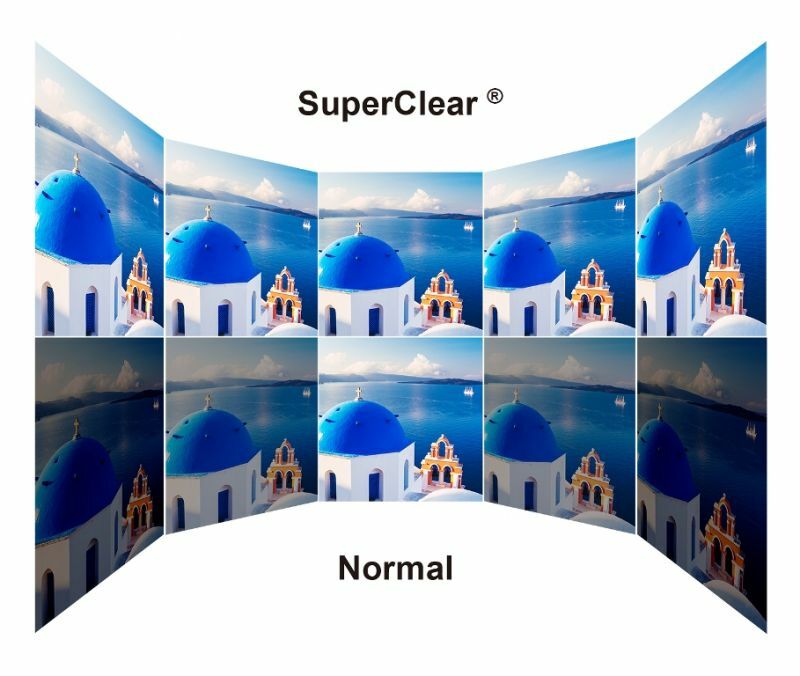 Target audiences will experience accurate, vivid colors, and consistent brightness levels whether looking at the screen from above, below, the front, or the side—with no distortion or decay. 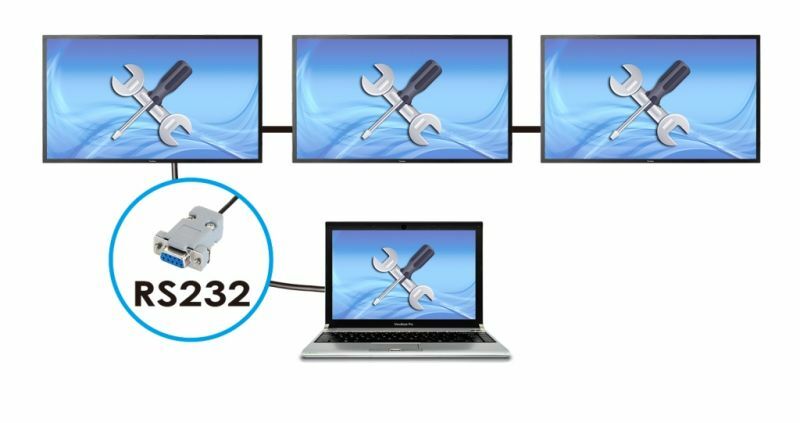 RS232 input and output connectivity, along with IR pass-through functionality, provides for easy and efficient management of multiple-display configurations from a single notebook or PC. By using the RS232 output, daisy-chained configurations can be managed via a primary CDE5500-L display. With a versatile selection of inputs, including HDMI, DVI, CVBS, YPbPr (YCbCr) and VGA, the CDE5500-L commercial display enables you to easily connect and use a variety of digital equipment. Best of all, the one-time display installation and setup feature means your preferred source settings are never lost. The CDE5500-L can be VESA-mounted (400mm x 400mm) in either portrait or landscape orientation for display flexibility in a variety of settings. With a pair of integrated 7W speakers, the CDE5500-L combines eye-catching multimedia content with high-quality sound effects—creating a lasting audio-visual impression on your target audience or demographic. Click the button below to add the ViewSonic CDE5500-L 55” 1920x1080 Narrow Bezel Commercial LED Display for corporate, retail, hospitality, and other indoor environments. to your wish list.